Temporary exhibition on Catalan Jewish cuisine, in the frame of the Catalan and Mediterranean cuisine in the Middle Ages. 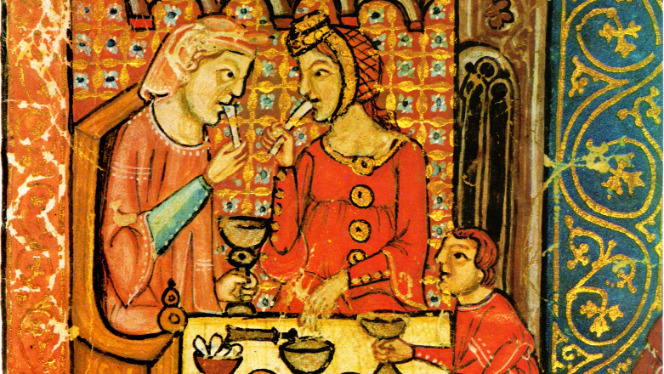 In Catalonia, in the Middle Ages, food marked social, cultural and religious differences, between groups and communities that coexisted in the same space. In this sense, the food was a distinguishing feature for the Jewish community. Their identity was marked from very strict dietary rules, described in detail in the Bible. To know how a society was fed in a particular historical period helps to understand their structures and dynamics. A particular way to eat and to prepare food involves a way of living and a relation towards other people. It is important to know what they ate, how and when. Because the basis of their identity was in what they ate, as expressed in the proverb: "Tell me what you eat and I will tell you who you are”.